There's been a lot of change happening in Rachel-land lately. The biggest of all is that we are relocating to Northern California, the Bay area to be specific. As much as the task of moving is quite possibly the most stressful thing in the world, I am super excited to start a new adventure in a "sweater weather" kind of town, especially with the heat in the valley being what I can only describe as "the worst", I'm ready to welcome Fall with open arms. I'm a big fan of switching up my fragrances with the seasons, this summer I was all about a perfume I snagged on sale at Anthropologie called "Zuma"... named after the famous beach in Malibu, it was a perfect hybrid of perfume and suntan lotion smell. 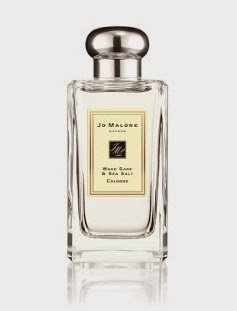 Jo Malone's White Jasmine and Mint is my staple year-round, and I just discovered their newest addition Wood Sage & Sea Salt. I've been wearing the sample for the past few days, and I'm pretty sure it's true love. It's got a slight masculine edge to it, it's herbal but not too heavy, fresh with a more Pacific Northwest vibe as opposed to freshly folded towels. I was introduced to Isimo.Co's Samantha about a year ago through a mutual friend, she's a super accomplished florist and proving that her eye for design extend into unique handmade decor as well. 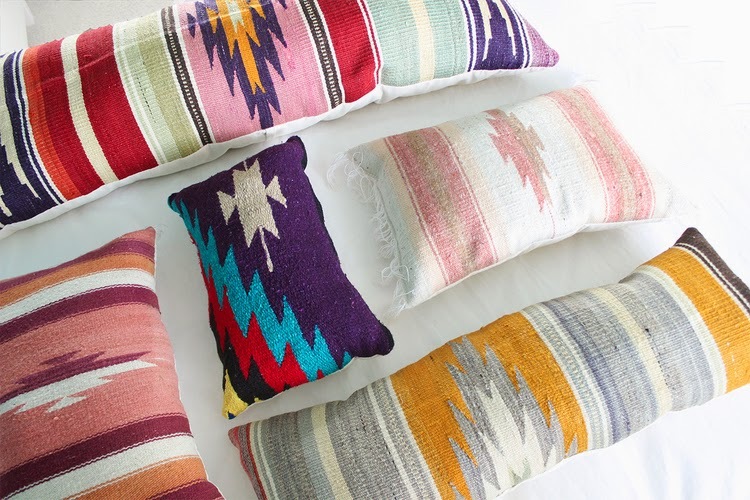 I am so obsessed with these re-purposed Mexican blanket pillows, when we move I'm definitely picking up a couple for the new digs. I've got a $20 off coupon burning a hole in my wallet, so I really hope my local boutique has these bronze beauties in stock on Thursday! I've been a long-time fan of Vans, my older brothers wore them in the 80's and I've been wearing them consistently since the 90's. The classic slip-on is by far my favorite. I'm picturing these with boyfriend jeans, but I think they'd be pretty sweet to wear with a long skirt too. Apart from material goods, I've been trying to explore some new music as well. 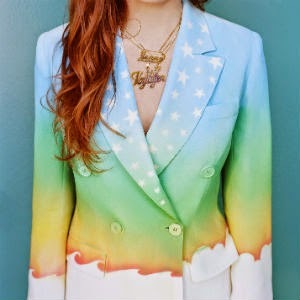 Of course, Jenny Lewis' new album The Voyager has been on a lot- which I'm sure is a relief to my poor boyfriend who has had to listen to Haim's Days Are Gone record on repeat since spring. My favorite tracks is "Just One of the Guys", but it really is a great album overall. I'm going to do my best to keep this rickety-rickshaw updated regularly, so bear with me. I've had the pleasure of working with the infinitely talented and super sweet Jhene Aiko over the past couple months, here's a couple shots from an Elle (US) feature that was just released. To achieve Jhene's tousled beachy waves, I used Enzo Milano 13MM clipless curling iron and Kevin Murphy Shimmer Shine Repairing Mist. Her earthy smoky eye was achieved using Kohl Pencil in 9K (brown) and her lip is Rouge Artist Intense #24 both by MAKE UP FOR EVER. The Schnauzer-centric Lifestyle, Summer 2014. For the first time in years, I was off work for independence day. It’s the retail life, I know for sure I won’t have black friday off but every now and then I can finagle a peripheral holiday. I was ecstatic to spend the day in Orange County with great friends and pyrotechnics. Cut to midnight, Nigel jumps off the couch and manages to paralyze his back back right leg and partially paralyze his left leg. It’s my worst nightmare. My bouncy, bonkers miniature schnauzer can’t walk, is totally wigging out from the fire works and I’m an absolute mess. I immediately google “emergency vet” and stay up all night with Nigel trying to get him to calm down and bargaining with a distant god while hoping he’ll just shake it off. I immediately ran through every worst case scenario over and over- I knew I was never going to be one of those pet owners that keeps a dog alive and miserable because I can’t say goodbye. It was also at that moment that I realized just how much my dogs mean to me. This little white dog (and my little black dog) have been with me through every major event of my adult life- marriage, divorce, moves, my father’s death. At one point in the night, I just broke down and cried out of frustration. The next morning I called out took Nigel into the emergency vet. The vet was so sweet and really seemed to care about him, but her initial gut instinct was surgery. However, since they didn’t find anything on his radiograph or x-rays, I was very hesitant to move forward in that direction. His injury came down to one of two things: a spinal disc injury or a. FCE (essentially a stroke). If it was an FCE his chances of a spontaneous recovery were fairly high, but if it was an FCE his pain level would have been much lower. After a suggestion from the vet and standard internet research, we decided to give physical therapy a go. Not only would he be in the hands of some of the best vets, Two Hands Four Paws had a great reputation for rehabilitating paralysis. Nigel is such a strong and sweet dog, my boyfriend and I had no idea how much pain he was actually in. We assumed he was just down-in-the dumps, since he didn’t exhibit the typical “I’m a dog in pain” signs. however, there he was, hunched over peeing his pants- he was so miserable. For a good week and a half my life was very schnauzer-centric. Between my boyfriend and I, we couldn’t leave him home alone for any extended period of time because he was unable to go to the bathroom on his own or roll over. I don’t have children, but I assume this is close to what it feels like to care for a sick newborn. You just feel so helpless. We started treating him pretty aggressively with physical therapy, just to get his pain under control and get him moving again. Once his pain was managed, we started to see amazing progress. Within a week and a half he was weaned off his medication. He’s now down to therapy once a week and although he looks drunk, he is walking around and happy. We are so happy to see him recovering so well after such a short period of time- even the vets and staff were amazed. Sometimes life just throws a curveball, but I’m beyond grateful that my little dude is feeling better and moving around. It’s a lot of work and dedication, but it’s all worth it.